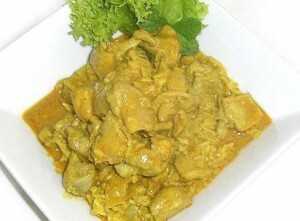 Chicken Ka Sufaid Qurma recipe by Saleena Islam at DesiRecipes.com. Put oil in a pot. Put kishmish in and then add chicken pieces to that. Fry for about 5-7 minutes. Now add ginger , garlic , red chillies and fry for about 8-10 minutes until you get the smell of garlic . Now add milk to it and let it cook for about 20 minutes till the meat is tender. Then add the pre-soaked(for 15 minutes) khopra into the chicken and simmer it till the oil floats on the top. Once it is done, let it cool down in room temperature and then add salt to it.